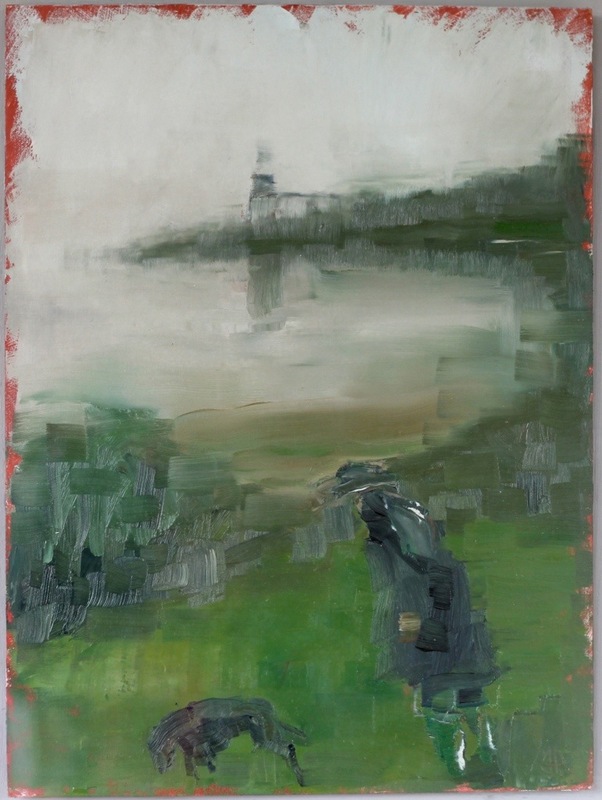 Ian, an RWA, Mall Galleries and Holburne portrait prize exhibited artist also paints the Portishead coastline. It’s title is a saying of someone my wife used to ride horses with, while getting soaked to the skin and freezing on a hack she’d ask “Have we enjoyed ourselves enough yet?”. I thought the same applied to the trudging dog walker. I’ve just submitted this to the RWA yesterday after it getting a selector’s choice in Clevedon. Fingers crossed, I have to wait around six weeks to find out despite the online submission though. This entry was posted in exhibiting and tagged landscape, Oil, painting by ianpriceart. Bookmark the permalink.